Cleveland Stories book release party! You’re invited to join Kent State University’s Cleveland Urban Design Collaborative for the Hipp Deck event, as we celebrate the release of Cleveland Stories: true until proven otherwise, the fourth volume in our Urban Infill journal series. Cleveland Stories is an investigation into narrative-based approaches to urban design, exploring the ways that the physical form of a city can be manipulated to reveal hidden stories, real and imagined. The book release party will be held on the upper level of the 740 Euclid Ave. parking garage, an undulating hardscape with fantastic views of surrounding Downtown Cleveland. 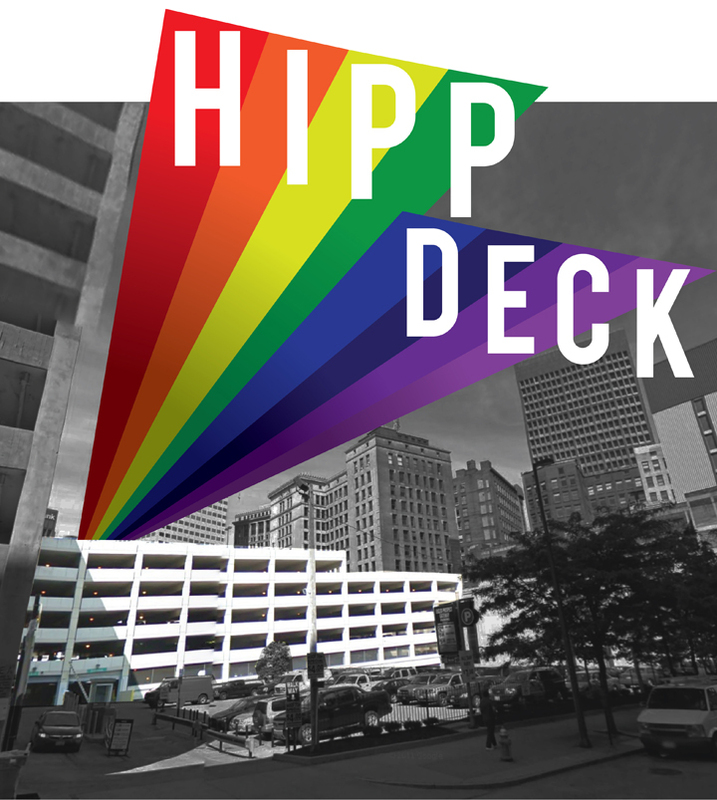 The Hipp Deck is a pop-up experiment that will transform the top deck into an open-air live performance venue and public green space, providing a much needed urban oasis for one unforgettable evening. The parking garage is on the site of the former Hippodrome Theater, a nationally renowned venue, which was demolished in 1981. The Hipp Deck, a conjunction of Hippodrome and parking deck, will bring the illustrious past of the theater back to life, for one night, with live music performances and embody a hybrid vision for the future of our ever-present parking infrastructure. The event is supported by the George Gund Foundation and Cuyahoga Arts & Culture, in partnership with Historic Gateway Neighborhood Corporation, SPIRE Institute, Filtrexx, Opera Cleveland and Ampco System Parking. 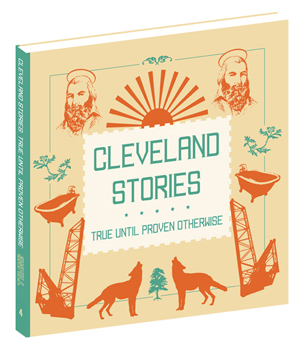 Cleveland Stories will be available for purchase at the event for a discounted price of $10. Park in the 740 Euclid garage and receive the book for free! See you at the Hipp Deck! Stories, dioramas, and bears! Oh my!